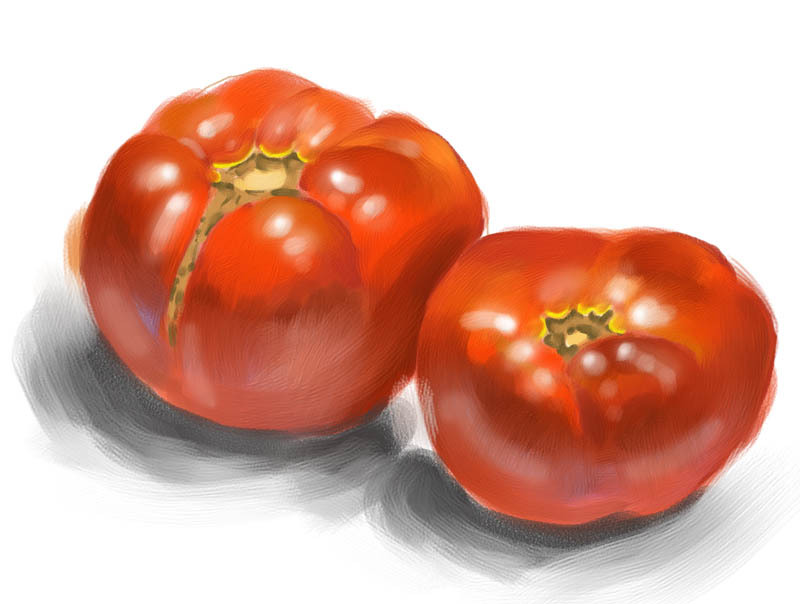 I went to the Farmers Market and picked up a couple of big fat tomatoes, and had to paint them before I could eat them. So I'm shaking from blood sugar depletion, but I persevere for you, my viewing public. that's just the kind of guy I am. Oh, I did get a message from Alyssa. I'll pass over most of it, and just mention that she promised me a big erbection, which I passed on. July 14, 2006 by Walt Taylor.